The Bath office of regional accountancy group MHA Monahans has teamed up with artist Jo McCarron and children from a city primary school to create a design for a giant Easter egg. 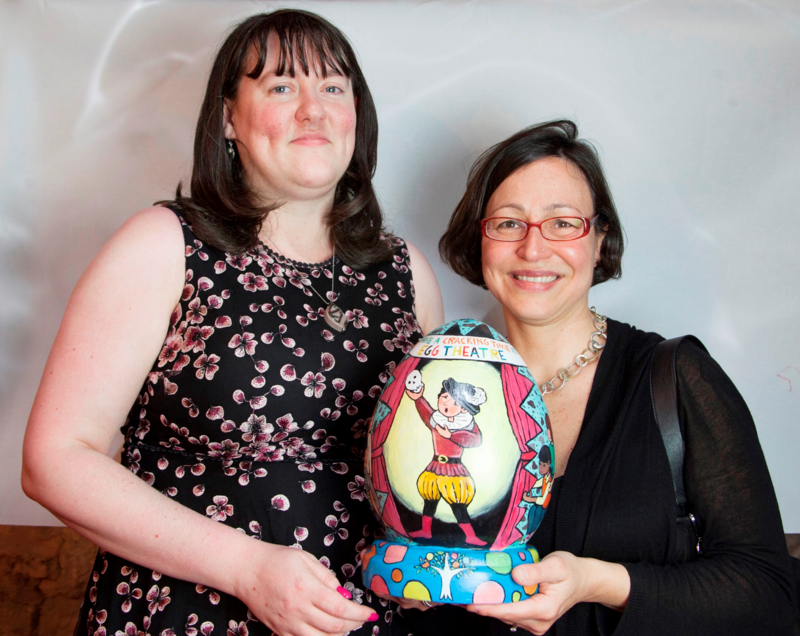 The firm is sponsoring the egg as part of the Theatre Royal’s annual Great Big Egg Hunt. The after-school club at St Andrew’s Church of England Primary School created egg designs based on the children’s’ perfect day at the theatre, which have then been interpreted by Jo McCarron into the final design. The finished 12-inch egg will be on display as part of the hunt in book shop Mr B’s Emporium in John Street from tomorrow until May 12 while the St Andrew’s pupils will be treated to a free show at the Theatre Royal’s egg theatre – the only designated children's theatre outside London. The egg hunt is free to take part in with all funds raised through sponsorship going towards the eggpot bursary fund and the egg theatre’s accessibility programme. MHA Monahans worked with Jo McCarron last year to design the firm’s Minerva’s Owls of Bath owl J K Owling, which raised £5,500 for charity. MHA Monahans partner Laura Green said: “We are hosting our egg at Mr B’s Emporium. This wonderful bookstore has recently been renovated and expanded and is a great place to encourage children to have fun at the same time as exploring reading. MHA Monahans, which employs 16 partners and 190 staff, also has offices in Trowbridge, Chippenham, Melksham, Frome, Glastonbury, Swindon and Taunton.